Reading a daily newspaper is a classic example of a generational habit. 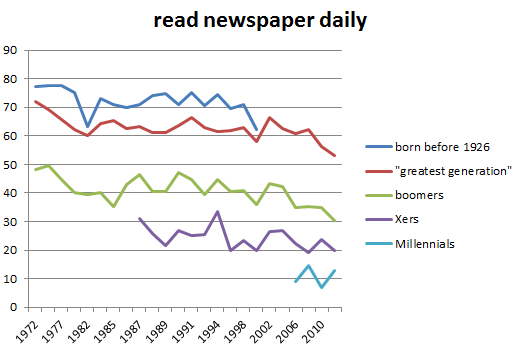 Since 2002, members of the “Greatest Generation,” Baby Boomers, and Gen-Xers have all reduced their reading of daily newspapers a bit. But the real reason for declining readership is generational replacement. Going back to the 1970s, we see a strong pattern that each generation reads the newspaper much less than its predecessors. 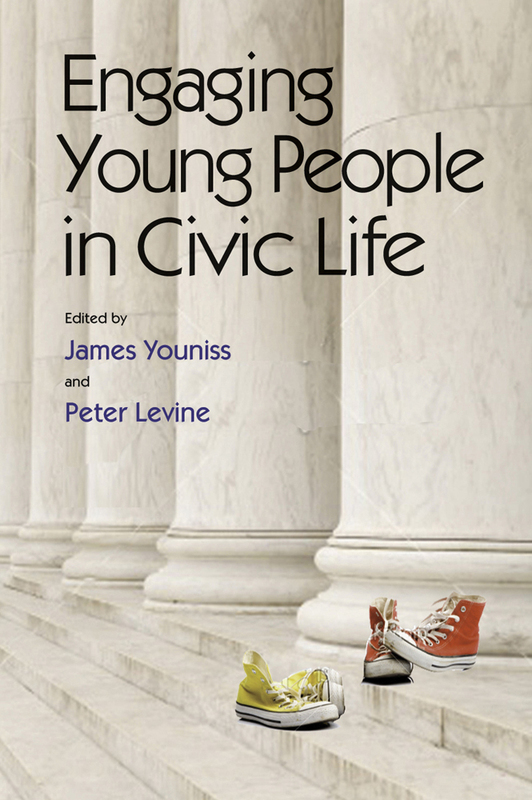 That means that as succeeding generations compose larger shares of the population, total readership falls. 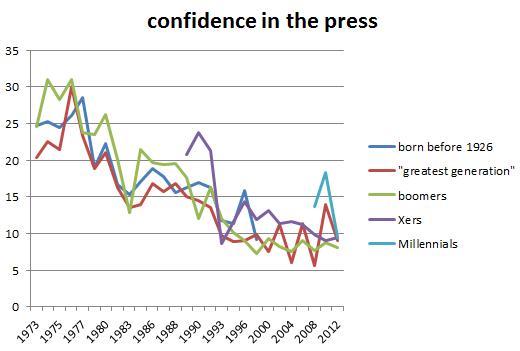 On the other hand, people’s confidence in the press is not a generational story at all. Everyone lost confidence, with the biggest decline occurring between 1977 and 1993. 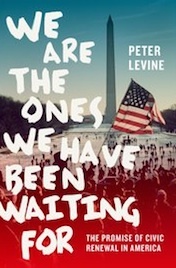 The generations that were old enough to be surveyed during those years sang in unison. Millennials were at first slightly more confident than other generations, but now they have the same views as all the older people. Basically, this is a story of an industry losing the public’s trust (fairly or not)–it is not about the Millennials or any other generation.